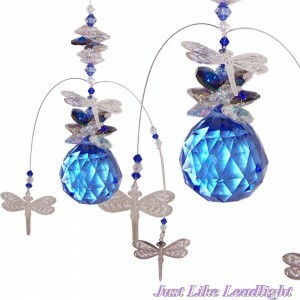 The dragonfly, a symbol of good luck and new beginnings. 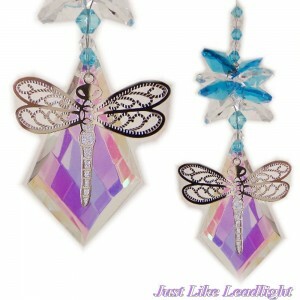 Here's our range of crystal dragonfly suncatchers. 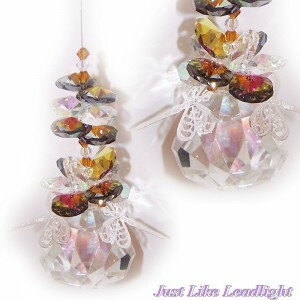 Many more designs will be added soon so please keep coming back to see what is new. 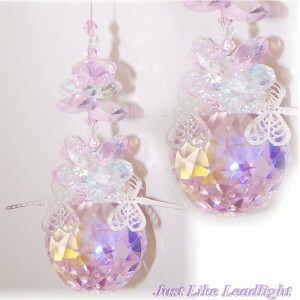 Don't forget to follow our facebook page to keep up to date with all our new items and events. 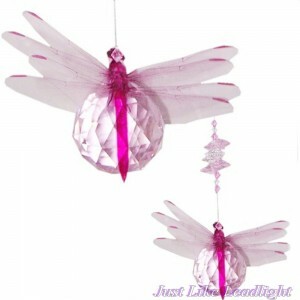 This pretty suncatcher, has 2 silver dragonfly filigrees as pictured, on a sparkling large 40mm pink..
Lovely dragonfly suncatcher with a large 50mm rounded drop crystal AB pendant. 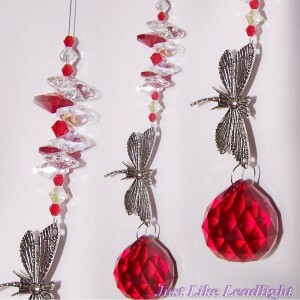 The dragonfly is pin..
A very pretty red crystal dragonfly suncatcher. 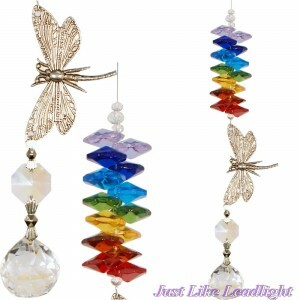 She comes just as the photo shows with a large silv..
Bring some dancing rainbows to your home with this pretty suncatcher, it has 1 silver dr..
Bring some dancing rainbows to your home with this pretty suncatcher, it has 3 silver dragonfl.. 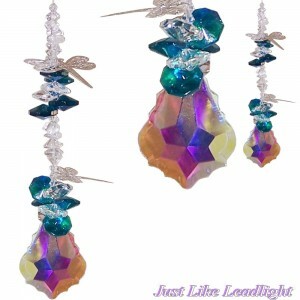 This is a new beauty. 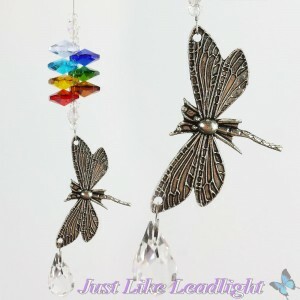 a large silver tone dragonfly pendant about 6cm hanging with a 20mm Abcl.. 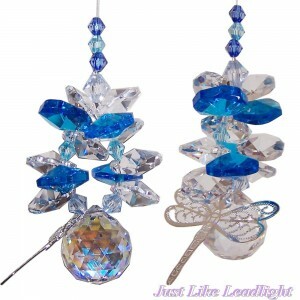 This pretty suncatcher, has 2 silver dragonfly filigrees as pictured, on a sparkling extra large 50m..
Bring some dancing rainbows to your home with this pretty suncatcher, Long design with heaps o.. 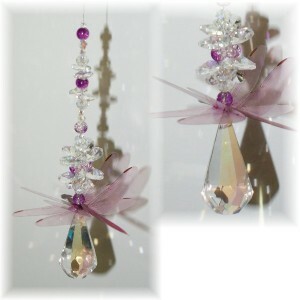 This pretty suncatcher, has 2 silver dragonfly filigrees as pictured, on a sparkling extra large 40m..
Hand made with a 50mm X 30mm Ab sparkling kite crystal and silver dragonfly 30mm x 40mm. 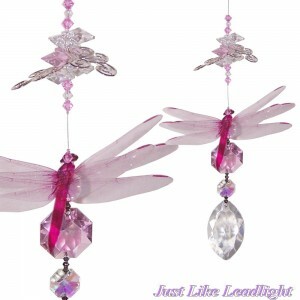 It ha..
this pretty suncatcher, has a double layered dragonfly as pictured in pink tones, on a sparkli..